During an ultrasound, a technician will spread a warm gel over the lower part of your abdomen and then press a tool called a transducer against your belly to examine your fetus using sound waves. An image of your fetus will appear on an accompanying computer screen and while looking at this image, the technician will take some standard measurements from different angles and listen for a heartbeat. Don't worry: This type of exam is painless and risk-free, and seeing your baby for the first time will likely be an enjoyable experience. Naturally, one of the most common questions asked about ultrasound accuracy is: Just how accurate are the due dates that are predicted by an ultrasound? Evidence suggests that, in the first 20 weeks of pregnancy, the first ultrasound may be the most accurate tool for predicting when your baby will be born. Early ultrasound due dates have a margin of error of roughly 1.2 weeks, so doctors will usually keep the original due date (the one generated by the date of your last menstrual period) if the ultrasound due date is within that margin of error. If you can't remember your last menstrual period date or if you have consistently irregular cycles, the doctor can use an early ultrasound to give you a fairly reliable due date. If your first ultrasound gives you a due date that is more than 1.2 weeks away from what was expected, there is a good chance that everything is still fine. You may have simply conceived earlier or later than you thought you did (which can happen if your cycle is at all irregular or if you remembered your last menstrual period date incorrectly). Your doctor might want to repeat the ultrasound to make sure that your pregnancy is developing as it should. Assuming that the subsequent ultrasound shows the expected fetal growth for the time period between the scans, your doctor may revise your due date to match the first ultrasound's predictions. And as long as the repeat ultrasound shows consistent growth and there are no signs of problems, there is no reason to be concerned if your doctor changes your due date. It is common that each ultrasound throughout the pregnancy will predict a different due date. Earlier ultrasounds are more accurate in terms of predicting the due date, so that's why doctors will usually use the dates and measurements from the first ultrasound of the pregnancy as a reference. 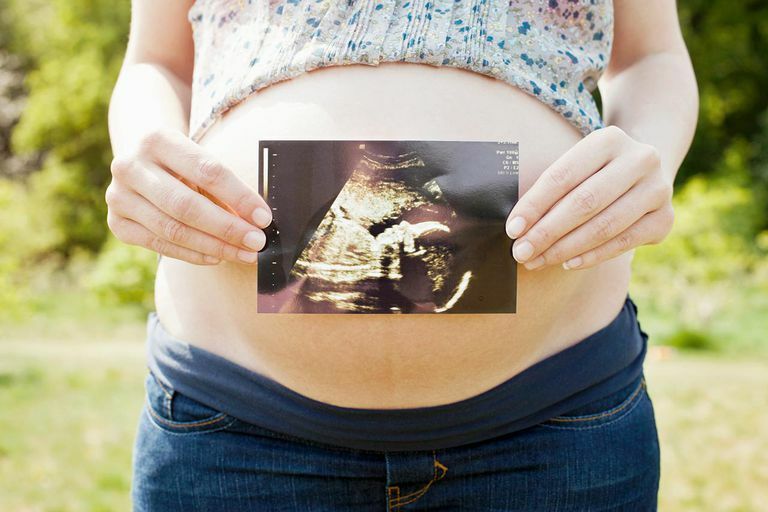 As the pregnancy progresses, the accuracy of an ultrasound for predicting due dates decreases. Between 18 and 28 weeks of gestation, the margin of error increases to plus or minus two weeks. After 28 weeks, the ultrasound may be off by three weeks or more in predicting a due date. Thus, later in pregnancy, ultrasound measurements are more valuable for evaluating the baby's growth over time (compared with earlier measurements) than they are for predicting a due date. Accuracy of Ultrasound Dating. University of Florida. Barnhart KT, Simhan H, Kamelle SA. "Diagnostic accuracy of ultrasound above and below the beta-hCG discriminatory zone." Obstetrics & Gynecology 1999. 94(4):583-7. Mongelli, Max MB BS; Wilcox, Mark MD; Gardosi, Jason MD. "Estimating the date of confinement: ultrasonographic biometry versus certain menstrual dates." American Journal of Obstetrics and Gynecology 1996. 174(1 Pt 1):278-81.